Hanky Panky cheeky hipster briefs in signature super-soft, stretchy lace. 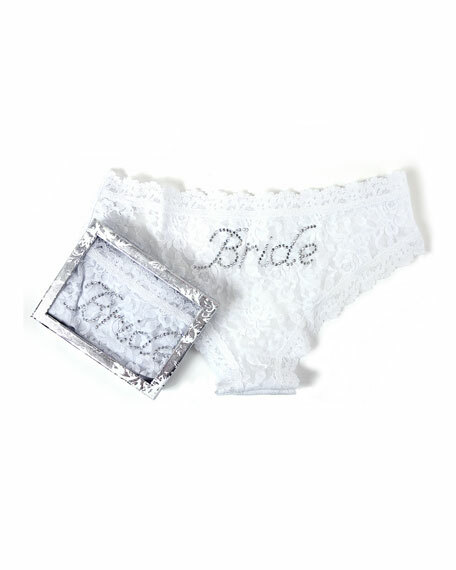 Arrives in silver gift box, perfect bachelorette party gift. Rhinestone "Bride" studded across front.